All India Consumer Price Index Number for Industrial Workers (CPI-IW) on base 2001=100 for the month of August, 2011 increased by 1 point and stood at 194 (one hundred & ninety four). During August, 2011, the index recorded maximum increase of 9 points in Amritsar centre, 8 points each in Bhilwara and Chindwara centres, 6 points in Kolkata centre, 5 points in Jharia centre, 4 points in 6 centres, 3 points in 7 centres, 2 points in 16 centres and 1 point in 16 centres. The index decreased by 3 points each in Giridih, Quilon and Kodarma centres, 2 points in Rajkot centre, 1 point in 9 centres while in the remaining 15 centres the index remained stationary. The maximum increase of 9 points in Amritsar centre is mainly on account of increase in the prices of Rice, Wheat Atta, Fresh Milk, Onion, Vegetable & Fruit items, Tea (Readymade), Kerosene Oil, Electricity Charges, Medicine (Allopathic), etc. The increase of 8 points each in Bhilwara and Chindwara centres is due to increase in the prices of Wheat, Gram Dal, Groundnut Oil, Soyabeen Oil, Milk, Onion, Vegetable & Fruit items, Tea (Readymade), Bidi, Firewood, Toilet Soap, etc. The increase of 6 points in Kolkata centre is due to increase in the prices of Rice, Wheat Atta, Fish Fresh, Onion, Vegetable & Fruit items, Soft Coke, etc. The increase of 5 points in Jharia centre is due to increase in the prices of Rice, Mustard Oil, Fish Fresh, Onion, Vegetable & Fruit items, Electricity Charges, Soft Coke etc. The decrease of 3 points each in Giridih, Quilon and Kodarma centres is the outcome of decrease in the prices of Rice,Wheat Atta, Masur Dal, Turmeric Powder, Fish Fresh, Fire Wood, Soft Coke, etc. The decrease of 2 points in Rajkot centre is due to decrease in the prices of Arhar Dal, Vegetable and Fruit items, etc. The All-India (General) point to point rate of inflation for the month of August, 2011 is 8.99% as compared to 8.43% in July, 2011. Inflation based on Food Index is 7.33% in August, 2011 as compared to 6.25% in July, 2011. The CPI-IW for September, 2011 will be released on the last working day of the next month, i.e. 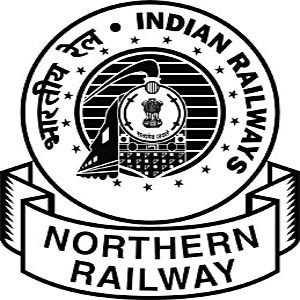 31st October, 2011.
vacancy in Northern Railways. .
Pay: Rs. 5,200-20,200 + GP Rs. 2,800/2,400/ p.m.
Pay: Rs. 5,200-20,200 + GP Rs. 2,000/1,900/ p.m.
Is it necessary to have Insurance For Home Makers? It has always been a question of common belief that the male member or the bread winner of the family only needs to be insured. This belief has emerged due to the fact that the financial interests of the other dependent family memebers had to be protected in case of death of the bread winner. However changes of lifestyles and with more women being employed in lucrative professions both in big cities and towns the perception of insurance has changed. In addition the entry of many MNC-Indian insurance joint ventures, and their bringing out unique solutions and products, it is time that we all looked into taking insurance policies for home makers too. Home mekaers have been neglected all these years with regard to insurance. Ø It is significant to note that in a country like India, homemakers contribute to households in the form of cooking, education of children and other menial work. But their importance and value of services evaluated in monetary terms is greatly neglected. It is true that the absence of these services on the death of the homemaker a big financial impact on lower and middle income families. Ø Another noteworthy factor that places a value on insurance of homemakers is that they provide great counsel to their spouse and children. So losing them would mean that lots of money would have to be spent on counseling services proving that loss of love and companionship is priceless. Ø It is also true that no one could replace a home maker mother and her loss could make it difficult to get competent and loving people to look after the family and children. It is also significant to note that the cost of competent daycare centers could be high and the cost of not insuring a home maker in lower and middle income families could be pretty high. Ø There is a money value behind each and every household work performed by the home maker. In case of any eventuality to the home maker, one need to shell out more money to upkeep the house in order. Considering various aspects like paying expenses out of the pocket, remarriage and insurance, insurance proves to be the most reliable and safest solution. The insurance cover should be proportional to the amount of financial loss that would be suffered or through a need based cost replacement analysis. In addition to insurance to guard against financial liabilities in case of death of a home maker it is vital to also plan for a dream retirement home and college education funds through various insurance linked plans. It is also true that insurance needs to be taken for critical illness, prolonged illness, accident or a major hospitalisation for all family members. It would also be beneficial to take health insurance policies early in life to gain benefits like full cover of all ailments and lower premium. However each family could have their own unique insurance needs, so taking the advice of a trusted financial planner in the form of an insurance advisor or trusted bank would help. They would render you correct information, best skills and advice based on your family’s financial circumatances, priorities and risk profile. Insurance for the whole family also requires that all the adult family members be fully aware of all the insurance policies taken, their benefits and exclusions and where they are kept. Having an open discussion about long term savings and insurance plans both for the bread earner and home maker and for children build a better family understanding and bond. They also convey the message that proper life insurance coverage should form an integral part of financial planning in families. The author isRamalingam K, an MBA (Finance) and Certified Financial Planner. He isthe Founder and Director ofHolistic Investment Planners (www.holisticinvestment.in) a firm that offers Financial Planning and Wealth Management. He can be reached atramalingam@holisticinvestment.in. Guidelines regarding grant of `Vigilance Clearance’ to members of Central Civil Services / Posts. Subject: Guidelines regarding grant of `Vigilance Clearance’ to members of Central Civil Services / Posts. 1.The undersigned is directed to say that it has been decided by the Government that officers who have not submitted the Annual Immovable Property Returns by the prescribed time would be denied vigilance clearance and will not be considered for empanelment for senior level posts in Government of India. (f) Vigilance clearance shall be denied to an officer if he fails to submit his annual immovable property return of the previous year by 31 January of the following year, as required under Government of India decisions under Rule 18 of the Central Civil Services (Conduct) Rule, 1964. An important judgement by HC in HRA. MUMBAI: The HC has ruled that house rent allowance (HRA) is not a right. A division bench of Justice B P Dharmadhikari and Justice A P Bhangale ruled that a government employee not staying in the quarters despite its availability can be disentitled from claiming the special allowance. The bench was hearing a petition filed by the defence ministry against its employees working in the ordinance factory in Nagpur, who were staying in their own accommodation. Nagpur has surplus government accommodation and is one of the few cities where a central government employee, who lives in his own house has to submit a “non-availability certificate” before he can ask for HRA. The government claimed that its employees, who are offered accommodation but refuse to occupy the same, would not be entitled to HRA. “HRA is not a matter of right, it is a compensatory allowance given by an employer towards the rental accommodation expenses when the government is unable to provide suitable accommodation to its employee,” said the judges. “The employee, if he resides in his own property, may not be entitled to claim the HRA, because it is paid to central government employees to compensate them partly for the especially higher rents which they have to pay for hired or rented residential accommodation in big cities, but not as a source of profit,” they added. The court quashed an order of the central administrative tribunal asking the government to pay HRA to employees who had were residing in their own houses. “Prima facie in our opinion, the pre-requisite for a non-availability certificate (NAC) as laid down in the office memorandum as operative in Nagpur, when central government accommodation is available in surplus and the government is required to spend huge amounts towards construction and maintenance (of the quarters), it is neither arbitrary nor malafide,” said the judges. Thanks to- TIMES OF INDIA.